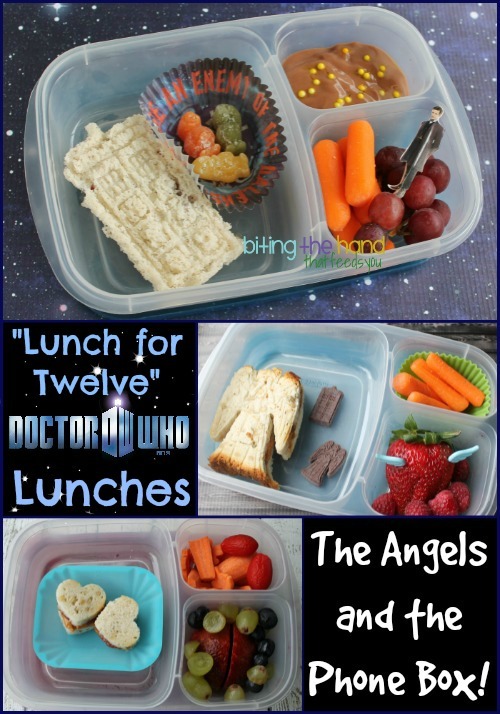 Biting The Hand That Feeds You: The Angels and the Phone Box - Doctor Who "Lunch for Twelve" Blog Hop! The Angels and the Phone Box - Doctor Who "Lunch for Twelve" Blog Hop! 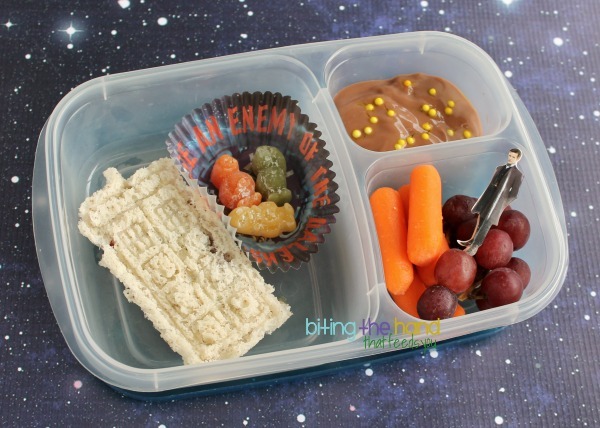 In honor of the premiere of the Season 8 of Doctor Who and to welcome the Twelfth Doctor, Edible Geekery is celebrating with a lunchy Whovian hop! 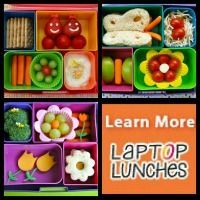 You can vworp vworp off to the next lunch through the link at the bottom of this post! My friend brought back some Jelly Babies from Canada (natural colors and flavors!) so they had to go in for sure! I also included an Eleventh Doctor cupcake pick and Dalek cupcake wrapper from England. I don't usually like to include disposable stuff when I don't have to, but I couldn't resist these! 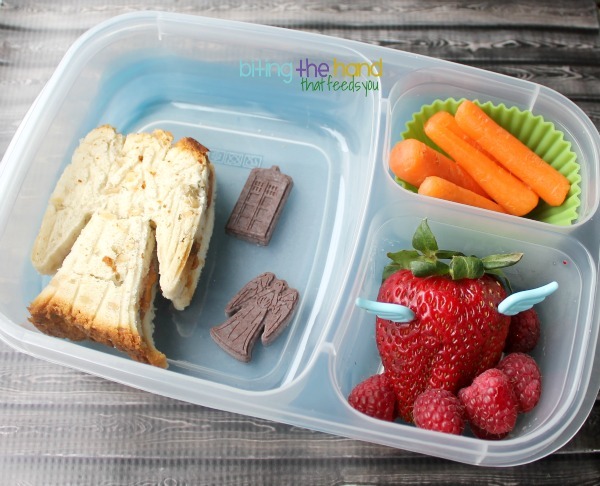 I had better luck using my Angel cookie press and Doctor Who chocolate mold (imported from England) for another of Z's recent lunches. Nothing to do with Twelve, but the Weeping Angels are characters Z recognizes from the show. I decided to use some wing picks to make the strawberry more angel-y too. Tee hee. My 2-year-old also enjoys her "Dokkah Hoo," but isn't as familiar with all the characters (except Ten... both my girls loooove Ten!) So for her, I just used a mini heart cutter to represent the Doctor's two hearts! 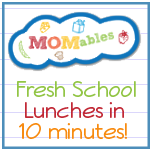 Keep clicking the Lunch for Twelve button to hop through all the Who-y goodness! 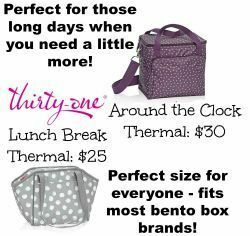 Next up is Candy Girl at Bent On Better Lunches! Geronimo! 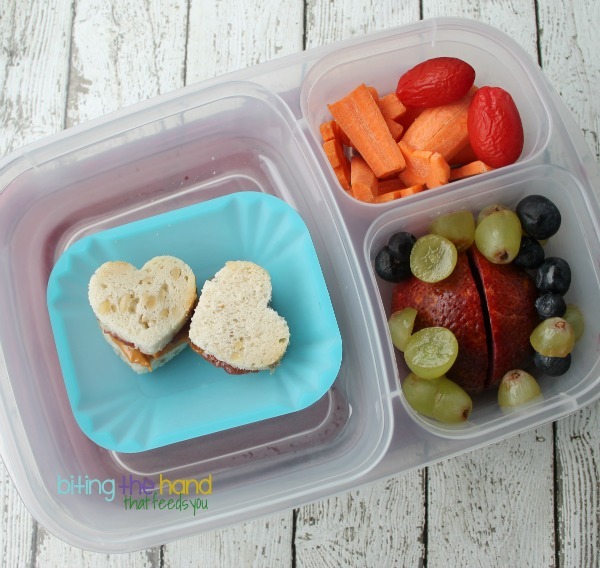 Love the lunches...especially the hearts. Cute, cute, cute!!! 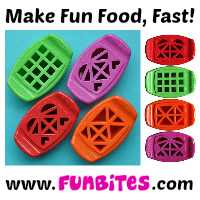 I absolutely LOVE those chocolate molds! I must get them! Love the angel wings in the strawberry -almost makes it look like a Silence, until I scrolled down. . .huh, what? Oh, nothing. . .